Hibernation is nature’s ingenious solution for creatures unable to generate enough heat to survive the cold winter months. For anyone who grew up watching Blue Peter, it is now a deep-rooted knowledge that before fireworks night, one must check bonfires for hedgehogs. As a child I often felt traumatised watching wood piles go up in smoke, at the thought of oblivious sleepy mammals beneath the flames. But what a morbid start to my column! When what I really wanted to talk about was the force driving hedgehogs (and other small mammals) into log piles in the first place – the desire to hibernate. Hibernation is nature’s ingenious solution for creatures unable to generate enough heat to survive the cold winter months. Underground, or tucked into wood piles, warm-blooded animals can slow their metabolisms right down by lowering heart rate and temperature, and thus live on their stores of fat until the spring. 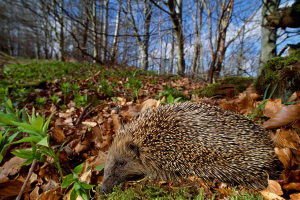 Whilst world-wide there are a huge range of hibernating mammals, from tiny mice to lumbering bears, in the UK there are only three types of mammal who do so: hedgehogs, dormice and bats (although there are insects who behave in the same way). Having said this, there are certain UK species, like frogs, slowworms and toads, which have periods of torpor, but reawaken on warmer days to continue to feed. The common, or hazel dormouse, is a creature after my own heart, as it may spend up to three quarters of its life asleep. Something to think about as you drag yourself out of bed in the morning. Hazel dormice spend the summer months fattening up on berries and, unsurprisingly, hazelnuts (sometimes doubling in weight), before curling up in a ground nest as soon as temperatures drop beneath 15 degrees, to await the spring. Like hedgehogs, their body temperatures drop to match their surroundings, and their hearts slow to a tenth of their normal rate. The BBC Nature website has an adorable soundclip of a dormouse waking up, which sent my cat absolutely crazy – http://www.bbc.co.uk/nature/species/Hazel_Dormouse. Britain is home to 17 species of bat, all of which wrap themselves up in their wings through the insect-free months. Hibernation is generally between October and March, beginning and ending with periods of gradual activity, although they will also occasionally wake to drink and excrete waste during hibernation. Whilst a flying bat’s heart rate can be a staggering 1000 beats per minute, a hibernating bat’s heart slows to just 20 per minute to conserve their energy. Bats rest in cool, humid places like caves, tree hollows, garden sheds and specially made bat boxes. 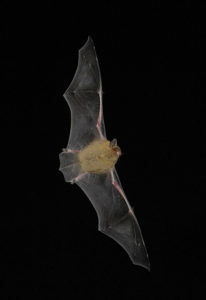 Remember that bats are protected and shouldn’t be disturbed – even if it’s your attic they chose to call home. 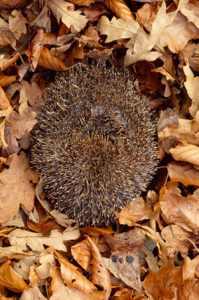 If you feel like giving our sleepy natives a helping hand, leave log piles undisturbed for hedgehogs (not forgetting to check your bonfire!!) or consider investing in your very own bat box. For groggy frogs, who sleep at the bottom of ponds, prevent water from freezing over by floating a tennis ball on the surface. Toads and slow worms would be grateful for a snugly compost heap to call their own. So all in all, the best advice is to leave the gardening until summer and sit back with a glass of mulled wine.